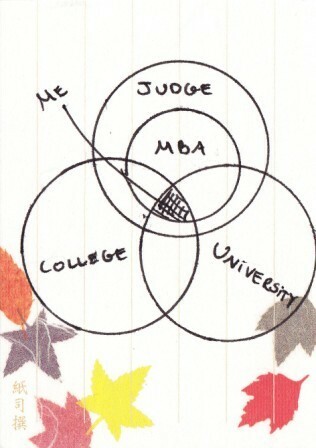 Initially I thought I signed up for an MBA at Judge Business School. After being assigned my college back in July I started to think that there might be more in the bag, but it was only when I arrived here in September that I actually realised what was on offer. The first week at school you look at the schedule you have been given and see classes from 9:00 – 17:30 (including classes on Saturdays!). Outside classes you notice there are leadership seminars, various career activities and other events that a good MBA should have. After a short while people start to form different Special Interest Groups (SIG) related to everything from finance to beyond profit. The Business School Club that will arrange social, sports and alumni related events during the year also gets up and running. Besides that you start to realise that the other programmes at the school also bring in interesting speakers so you make a note not to miss these. Finally you get introduced to your study group with whom you will work on the Cambridge Venture Project and other assignments. This in itself could probably keep most MBAs busy but just when you think you have your life planned out nicely – at least for the next week – an email arrives from your college announcing an exciting event at the MCR (Middle Common Room = graduate student society). In a world parallel to the Judge Business School you find your college where you sign up for rowing, listen to guest speakers, hang out at the college bar or attend the film nights and pub quizzes at the MCR. Once a week or so you attend the formal dinners and get a chance to mix the two worlds for a while by inviting your MBA class mates along. While I guessed beforehand that the college would play some part in my MBA-year no one told me how much there is on offer from the university as well. In this third parallel world you can practise about every sport in the world and get involved in all kinds of social societies. Personally, I went for the The Cambridge Union Society (the debating society) and the Cambridge University Riding Club but could just as well have signed up for Strathspey and Reel Club instead… whatever that is! It is a balancing act and at a point you have to sit down a make a decision on what to get involved in. Going through my inbox on a daily basis has mostly become a painful exercise of deleting emails with exciting offers of events that I don’t have time to attend anyway. I close my eyes and hit delete. In many ways I guess it is like the Judge building. There are so many strange stairs and weird hallways that you keep discovering new parts of the building. You will probably never get to take advantage of all there is on offer but for the curious minded person this is a good place to be!